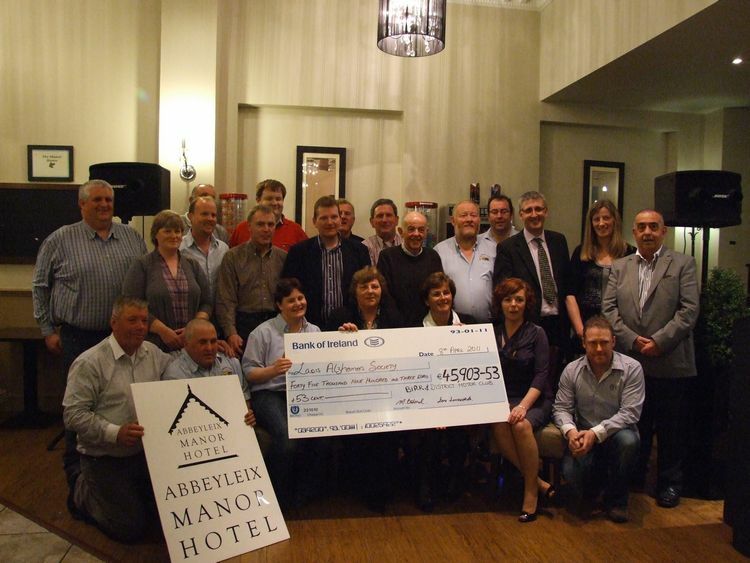 Abbeyleix Manor Hotel, attended by members of the club and hotel owner Jenny Kent, a cheque for almost €46,000 was presented to the local charity, which is based in Portlaoise. specialist home care to 10 families on our waiting lists and to providing weekend breaks away for family carers in need of respite from their caring role,” said Brennan. 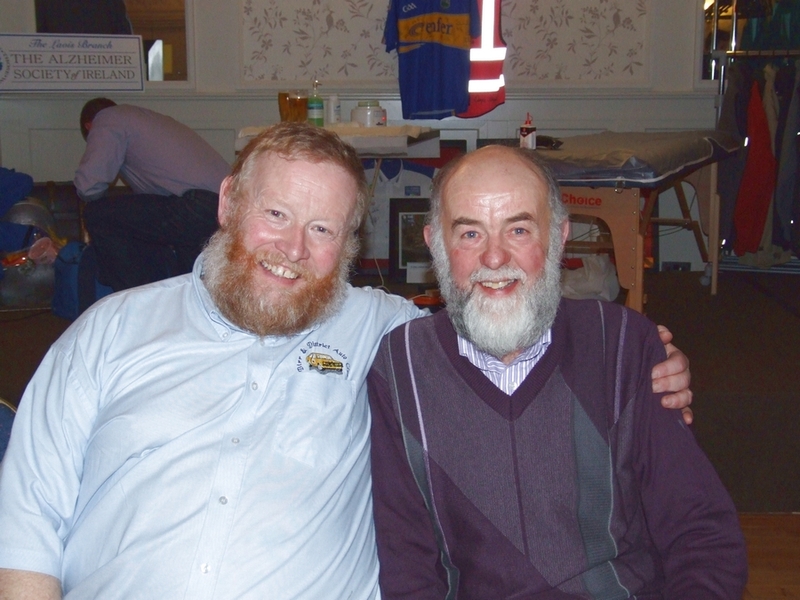 Fundraising by The Birr & District Motor Club kicked off at its annual Car Rally, which took place in The Abbeyleix Manor Hotel on the 27th February last and has continued over recent weeks. 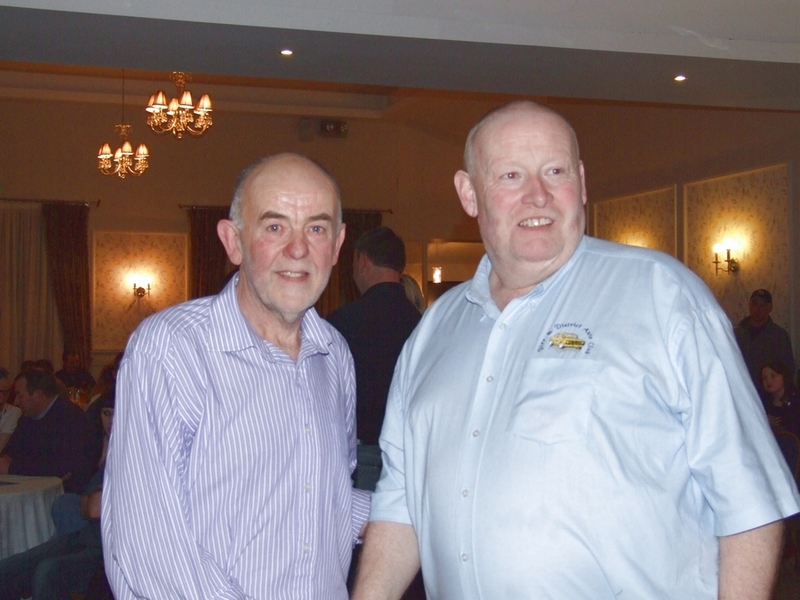 The annual rally was hugely successful, attracting a capacity entry of 160 cars and crews. The route took in stages in the Rathdowney & Ballacolla areas, with servicing taking place in the retail outlet in Rathdowney. A special word of gratitude is expressed from the Clerk of the Course Bill Ryan to all the residents along the rally route for their assistance & patience. In conjunction with the rally, a major fund raising programme was initiated including sponsored shaves, waxing, collections, auctions, table quiz & cookery ware demonstration. The table quiz was held in Castletown and was organised by Marie Ryan whilst Sandra Stanley and Hilda Bailey were the co-ordinator’s of the cookery ware demonstration which took place the Abbeyleix Manor Hotel. The Alzheimer Society of Ireland is the leading provider of dementia-specific services nationally with a network 0f 115 services in communities throughout Ireland. 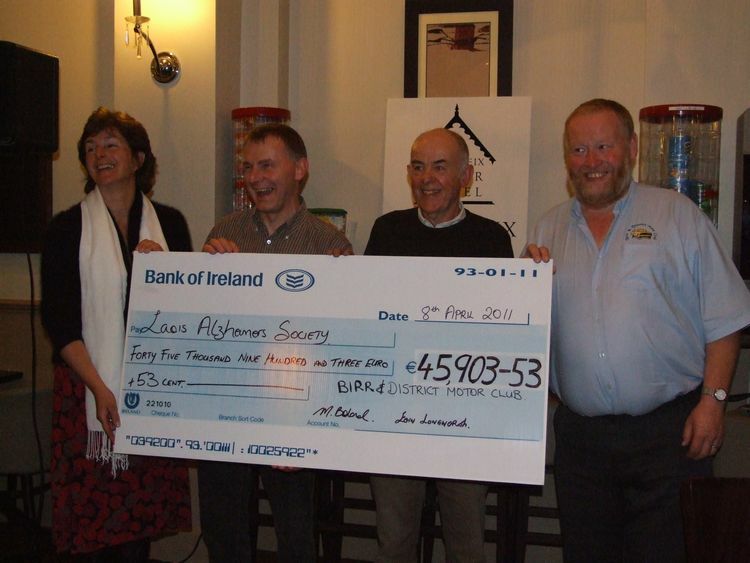 In Laois, the charity offers dementia-specific home care, a monthly support group for family carers and information from its offices in Old Parochial House, Dublin Road. Are extending an Open Invitation to a very special night. 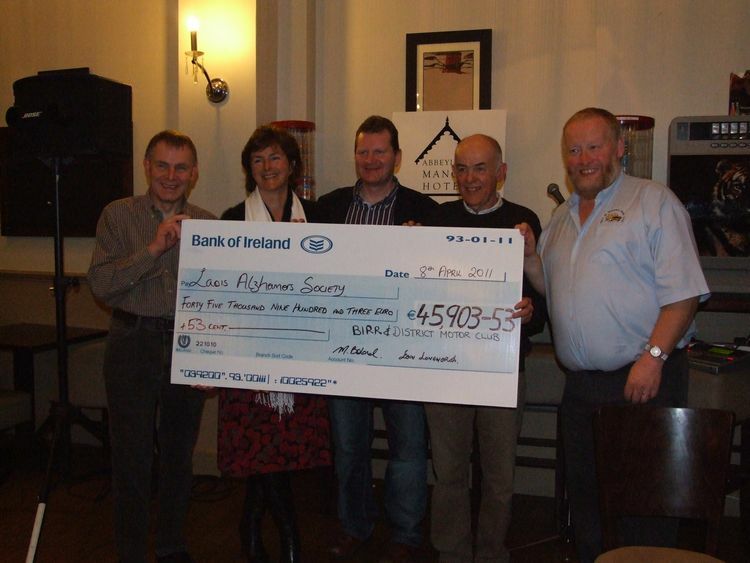 with the proceeds from the very successful fundraiser that was held in Feb.